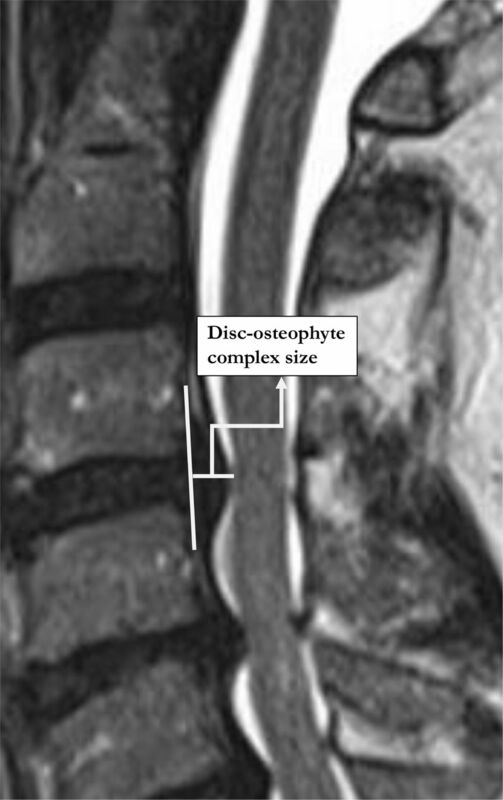 Illustration of disc-osteophyte complex size measurement. 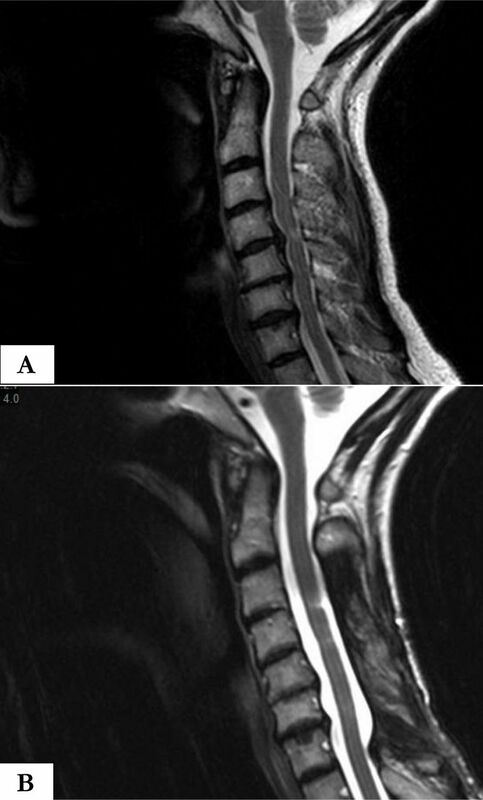 Preoperative (A) and postoperative (B) sagittal T2 magnetic resonance imaging of a 54 year-old male 6 months following cervical 3-6 laminoplasty. 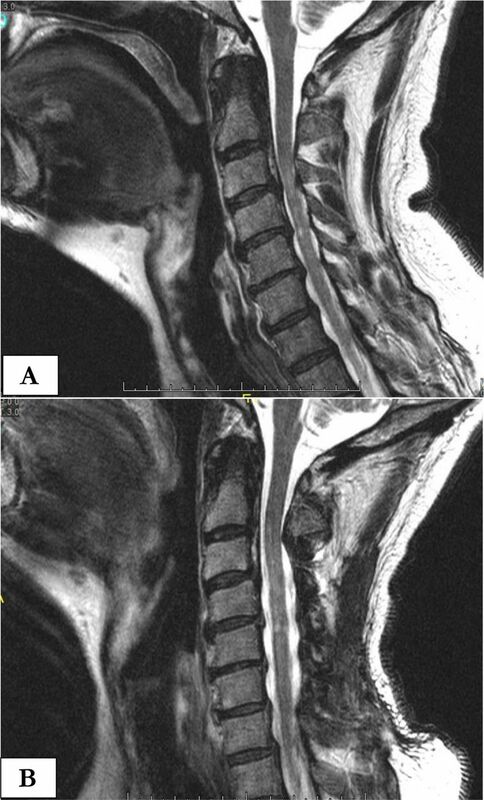 Preoperative (A) and postoperative (B) sagittal T2 magnetic resonance imaging of a 57-year-old female 6 months following cervical 3-7 laminectomy with fusion. The C4-5 disc osteophyte complex has largely resorbed. Demographic, clinical and radiographic variables. Pre- and postoperative disc-osteophyte complex (D-OC) size between groups. Disc-osteophyte complex (D-OC) regression within groups.